Why did the US target Mansoor at this juncture? Hellfire missiles fired from a US special forces operated drone killed Mullah Akhtar Mansoor on 21 May. 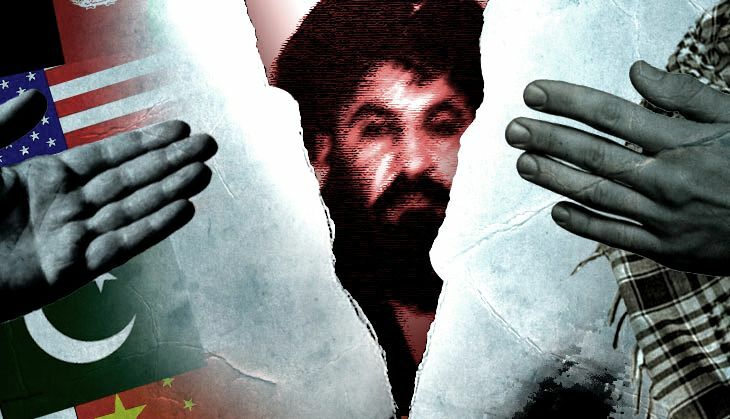 Mansoor, the dreaded chief of the Afghan Taliban, was in Balochistan, thirty miles inside on the Pakistani side of the Durand Line, when his car was targeted. This is also a first when a US forces operated drone has attacked a target in Balochistan. Photographs showed the mangled remains of a car, and two dead bodies, wrapped in a shroud lying on the side of the site of the attack. A Pakistani passport, with a valid Iranian visa, was also said to be recovered fuelling speculations that the Taliban chief was on his way back from Iran. While his killing has expectedly infuriated the Pakistani establishment, which seemed shocked at the way the Americans have taken out one of their biggest asset on their soil, without keeping them in the loop, it is not clear whether the death of the Taliban chief will lead to any progress on the peace talks. Pakistan has called the drone strike an attack on its sovereignty and maintained its long standing approach of being in denial. "It is certainly advantage Afghan National Unity Government and the US, since Pakistan has failed to get the Taliban to talk and now they can ask for an Afghan to Afghan talks not involving Pakistan as a mediator," a former official says. However, he adds that Pakistan may not be very happy in such a situation and may throw a spanner in the works. President Ghani, frustrated with Pakistan's attitude, had recently after the deadly attack in Kabul, threatened to abandon the Quadrilateral Co-ordination group led process and instead move the UNSC against Pakistan. A former Indian diplomat pointed out that Mullah Mansoor's death may lead to temporary gains, like a rift within the Taliban, and start a battle of succession, but since the terrorist group is ideologically against any compromise, fundamental change in the situation looks unlikely. Quad group talks, as it is, have not been able to take off, since there is no letup in the violence by the Taliban and their unwillingness to come to the table. "Who will come for discussion? Does one believe that Sirajuddin Haqqani will come and join the talks?" asks another former diplomat who has served in Afghanistan. Haqqani, the number two in command before the killing of Mansoor, is said to be a ruthless figure in the movement, who enjoys the support of the ISI, the Pakistani spy agency which has been using the Afghan Taliban as a strategic asset. Haqqani has been involved in various attacks in Afghanistan including on Indian mission. "Afghan Taliban is Pakistan's biggest card. It is highly unlikely that the Generals at Rawalpindi GHQ will give them up so easily," the diplomat says. "It has been more than a year when President Ashraf Ghani went to Pakistan and met General Raheel Sharif. Violence has only increased since," pointed out another diplomat. The diplomat also pointed out how Pakistan did not have full control over the members of the Taliban. "They may have control over some elements," he says. Sartaj Aziz, the advisor on foreign affairs to the Pakistani PM Nawaz Sharif, had in March claimed that Pakistan had considerable influence over the Afghan Taliban, since many of its leaders had taken refuge in Pakistan. "Did Mullah Omar's death change anything that one should expect any big change now that Mullah Mansoor is also dead?" is the big question doing the rounds. So why did the US target Mullah Mansoor? Mullah Mansoor, a former top official who has served in the region, says was working on a two pronged strategy which prevented him from joining the talks. One, that by being on the offensive ensured that he cemented his position within the Taliban. Two, he did not want to join the talks since he believed that the Taliban had an upper hand. "This made the Americans impatient," says the former official. "Quadrilateral co-ordination group talks are dead at the moment," he points out while adding how Pakistan had failed to get the Taliban to talk despite promising it various times. The former official says that the Pakistanis and the Taliban should feel disconcerted after this attack. "It points out that the US have strong human intelligence assets not just in Balochistan but also on the other side of the border in Iran, that they could launch such a precise attack," the official explains. "The objective seems to be sending shivers down everyone's spine," the former diplomat says while adding that the American objective, in the election year is merely trying to ensure that the situation does not go out of hand in Afghanistan. "They just want that the violence comes down or how else will President Obama explain it to the Democrats in an election year," the diplomat explains. Who will be the new leader of the Taliban? Sirajuddin Haqqani is the most obvious contender to take over the mantle after the death of Mullah Mansoor. However, there are hurdles to his elevation. Haqqani comes from the Zadran tribe, which is looked down upon by other tribal groups like the Ishaqzai, to which Mullah Mansoor belonged. Haqqani does not have network in the Taliban strongholds of Southern Afghanistan. "If these factors come into play during the succession battle then Mullah Omar's son Yaqoob may have an edge," says the former official. However, even in that scenario, the official says, Yaqoob will merely be the figurehead while Haqqani will be the force from behind. There are other contenders too, like Mullah Zakir and Mullah Muhammad Rasul, the head of a dissident Taliban faction who was opposed to Mullah Mansoor. While Mullah Zakir, had recently mended fences with Mansoor, Mullah Rasool, was detained in Pakistan. The Taliban faction denied reports of his detention as enemy propaganda but sources say that the top Afghan security establishment confirmed that Mullah Rasool was detained in Pakistan. "Rasool is blueblooded unlike Haqqani," the official points out. He reportedly fled Zabul after Mullah Mansoor led faction launched attacks on dissidents. Mansoor-led faction had also killed Mullah Mansoor Dadullah, the brother of Mullah Dadullah Akhund, another top Taliban commander who was killed in 2007 by the coalition forces. Mansoor Dadullah, too, had not heeded to Mullah Mansoor demands to accept him as a chief. "There is a possibility that this faction, may have leaked information about Mullah Mansoor," says the official. While the Afghan security establishment maintained that Mullah Mansoor was hiding in Karachi, sources point out that there were reports that he had gone to Iran, after the December incident where he was said to be injured in a firefight during a meeting of the senior Taliban commanders. Iran, the former official points out, had maintained links with the Afghan 'Mujahideen' groups including Gulbuddin Hekmatyar, and has had a history of providing minor help to some leaders of the Taliban. "Some anti-Iran terror groups like Jundullah operate from Balochistan. Iran may be helping the other groups to counter these," the official says. Another reason why Iran was involved with the 'Sunni' terror groups may be to maintain a capacity to create problems for the American forces especially in provinces like Herat which is close to the Iranian border. Meanwhile, irrespective of who takes over the Taliban, Pakistan may still hold the levers for it has been deeply involved with the terrorist outfit for a long time. It continues to wield considerable influence on key figures including Haqqani. However, it is not clear whether it will be able to bring them to negotiating table. "They risk losing popularity within their rank and file if they agree to talk on the insistence of Pakistan," a source points out. Moreover, there are also doubts on the intentions of Pakistani security establishment to get Taliban to talk peace.